When the world was new, and dreams had not yet receded from the waking day, dragons ruled the earth. The first dragon was a queen named Mim. She nurtured the Dreaming by encircling the world and holding her tail in her mouth. As long as Mim held her tail in this way, there would be balance between life and death, and good and evil. And the Dreaming would fluorish. Mim watched the Dreaming with care, and all creatures lived together in peace and harmony. Until one day, a spirit known only as the Locust became unhappy. The Locust was a nightmare creature without shape or form who could exist only in the spirit world. To move on the face of this world, he must take possession of a mortal being's flesh. He chose the most powerful mortal of all -- Mim, Queen of the Dragons. The Locust entered her mind and the queen went mad. Balance was lost, and the world grew dark. The dream became a nightmare. To save the world, the other dragons were forced to move against her. A terrible battle ensued. As the dragons fought, they crashed back and forth, pushing up rocks and mountains. On and on they struggled, with many valiant dragons losing their lives. Until at least the dragons despaired of saving their queen, and were forced to take desperate measures. They knew it would be the end of their beloved Mim, but for the good of the world, and to destroy the true enemy, they turned their queen into stone, trapping the Locust inside her until the end of times. Later, the land cooled, and the valley was born. Never again would the balance be perfect, for the Locust lies hidden below the surface, waiting for the end of times. 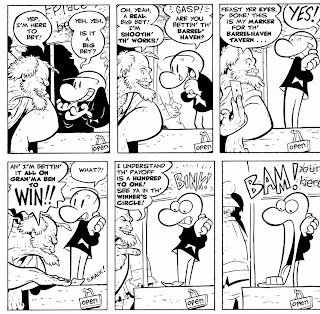 The preceding is the most-repeated passage in the saga of Jeff Smith's BONE, which I would call the most surefire gateway comic — the comic you give to a non-comics reader to get them into the medium — ever published. It was not the first comic I ever gave to the Resident Kid, my nephew, but it was the first one that he unabashedly loved. I bought the BONE One-Volume Edition back in 2004 when I was in college. 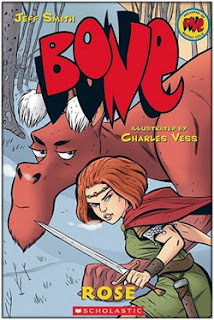 I had heard for a long time about BONE and how it was a benchmark for indie comics, and I was at that point both interested solely in indie comics and utterly sick of the depressing and almost always semi-autobiographical indie fare. It was nice to start reading something that was lighthearted and fun. Fone Bone and his cousins Phoney and Smiley have to get back to their hometown of Boneville, from where the greedy Phoney was driven away by an angry mob after a quick get-rich scheme of his went bust. But they can't go home, because they end up in the valley where they meet a motley crew of characters, including some talking animals, the Great Red Dragon, a bartender named Lucius Down, and most importantly, Gran'ma Rose Ben and her granddaughter, Thorn. Fone Bone has a crush on the pretty Thorn, while Gran'ma Ben is inhumanly strong. As such, she's spending the first two books training for The Great Cow Race, an annual race that involves only cows and Gran'ma Ben herself. As you can see, Smith's style is expressive and clean, suited perfectly for animation. 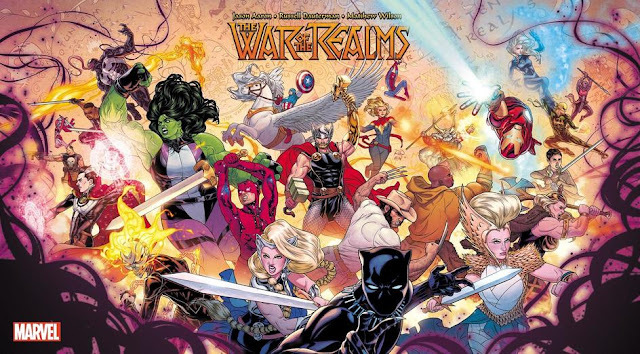 It's got traces of Carl Barks and Walt Kelly, which makes the subsequent revelations about Thorn and Gran'ma Ben's past even more jarring. You see, as it turns out, Gran'ma Ben is really Queen Rose Harvestar, and her granddaughter Thorn is the princess of a kingdom called Atheia, which is locked in a grim war that involves the dragons, rat creatures, the aforementioned evil spirit that is called The Locust, and a sinister figure known only as The Hooded One. 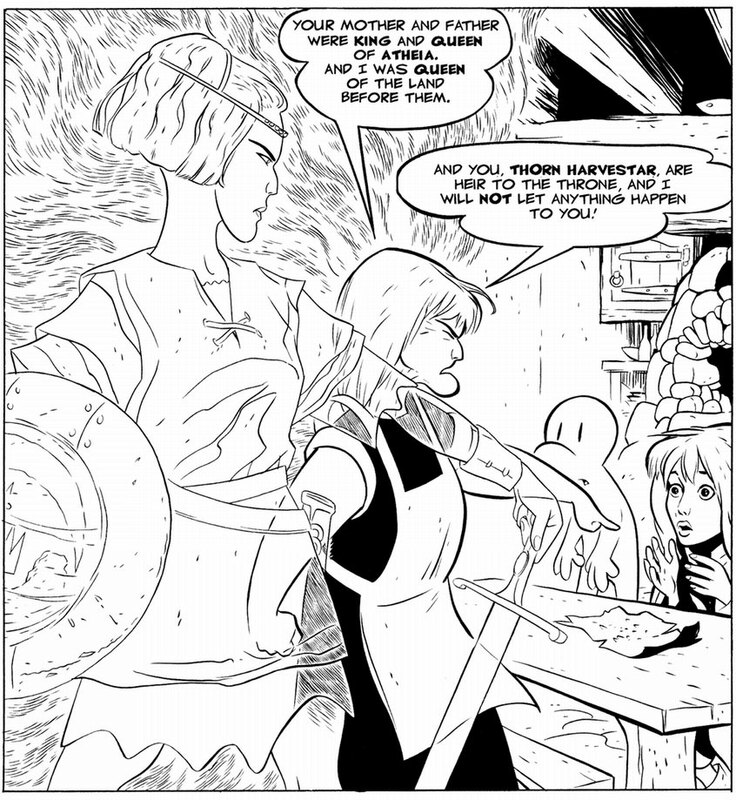 The rest of the series masterfully straddles that fine line between fantasy and humor. There is no reason it should work, but it does. Magnificently. I gave BONE to The Resident Kid in 2007 after introducing him to the first two Telltale Games. He'd already read some comics prior to it — you can't be my nephew and not be inundated with comics — but usually they were the comics I forced upon him and asked him to read. This is the first one he wanted to read, and he finished it in a week. Considering that it's 1,332 pages long, I'd say that was an impressive feat, and a testament to just how gripping the book really is. 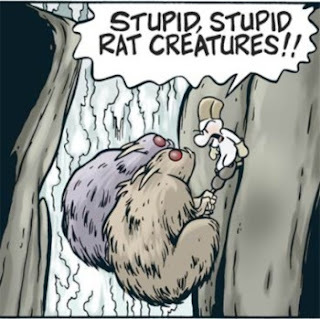 He was yelling "Stupid, stupid rat creatures!" for a few weeks. I think one of the reasons is the mix between subtlety and exaggeration, both in the story and the art. 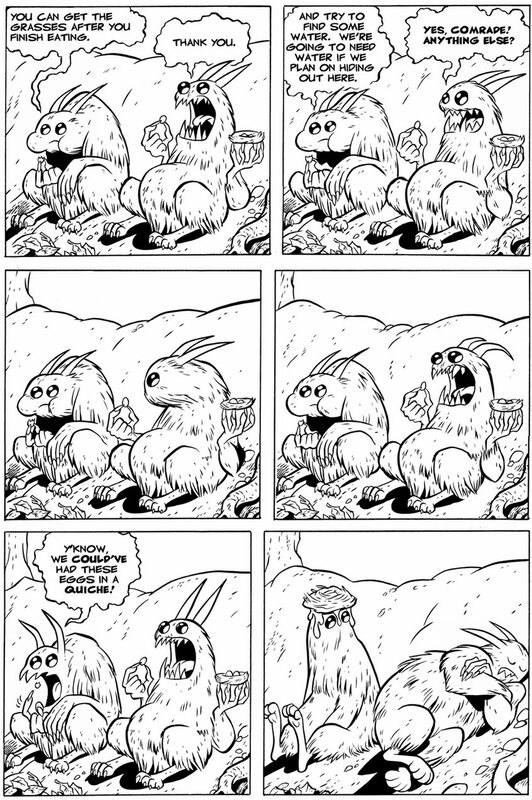 This synthesis can be seen in the balance between humor and adventure as well. Yes, there are evil rat creatures who want to destroy the Dreaming and kill the dragons, but two of them are incompetent, and one of them wants nothing more than to eat a quiche, while the other one thinks quiche isn't monster food. I can't recommend this book enough, and it verged into two completely different directions that it had two completely different spinoffs. STUPID STUPID RAT TAILS detailed the origins of Boneville and focused on the ancestor of Fone, Phoney, and Smiley, Big Johnson Bone. 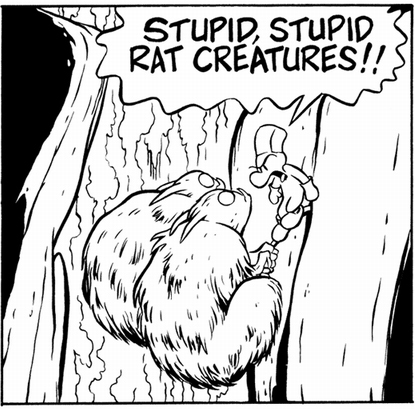 This has been reprinted in color in BONE: TALL TALES, along with some new material. Meanwhile, ROSE went in the other direction and told a prequel to the BONE saga, detailing Gran'ma Ben's adventures when she was just the princess of Atheia. 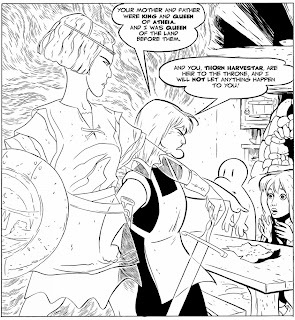 ROSE was drawn by Charles Vess, one of the greatest artists of the fantasy genre ever. Vess even managed to work her into SANDMAN at the time. So there. Funny animals and fantasy. In BONE, you get the best of both worlds. 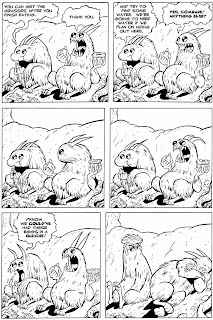 The result is a product all its own, and one of the greatest comics of all time. At the end of the day, BONE is high adventure, funny, and, perhaps most importantly, fit for all ages. I loved it at 22 years old, and as I said, the Resident Kid loved it when he was 8 years old. 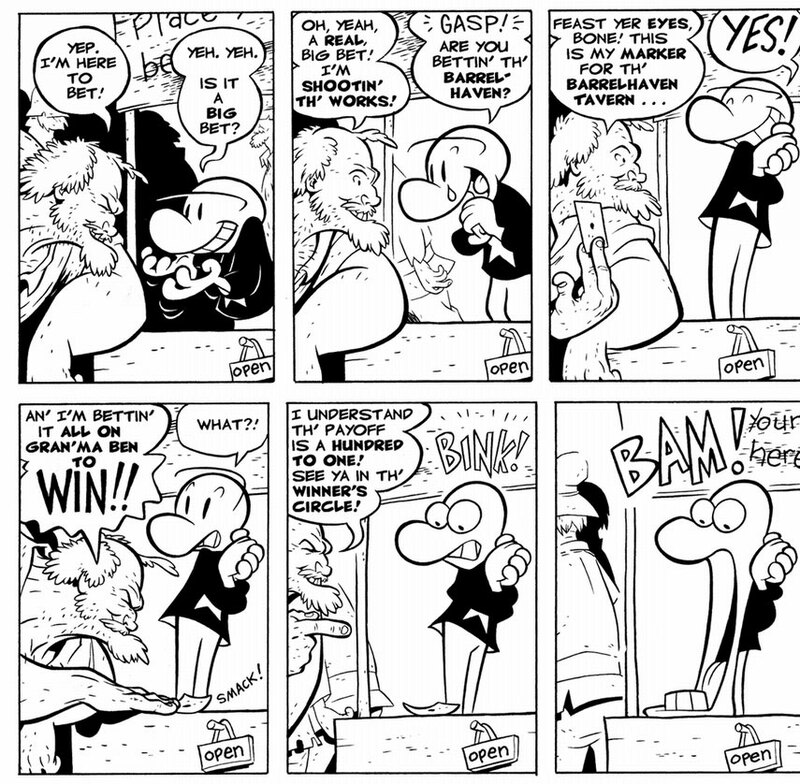 It's pretty much his favorite comic, and I've gotten him pretty much every BONE-related comic I can find, including their short appearance in Linda Medley's CASTLE WAITING. 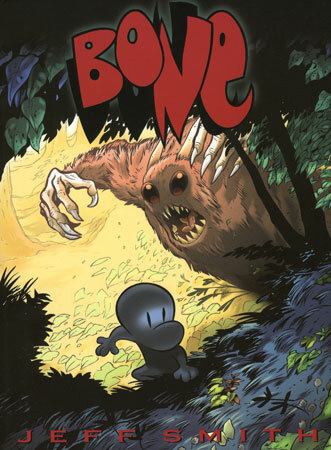 BONE will always have a special place in his heart, and if you have any kids, nephews, nieces, brothers, sisters, whatever, trust me — BONE is the comic to get if you want to get them into comics. There is something in there for everyone. Check out the Bonevill Wiki while you're at it! Or maybe I'm just trying to make myself feel better about not being able to afford the COMPLETE BONE 20TH ANNIVERSARY EDITION. 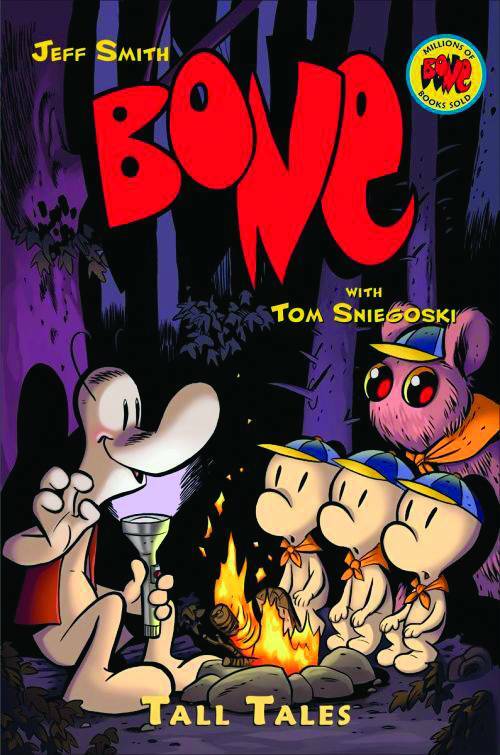 BONE was the first comic that my nephew read without me forcing it on him, the first comic he unabashedly loved, and it will probably remain his favorite comic for a long, long while. 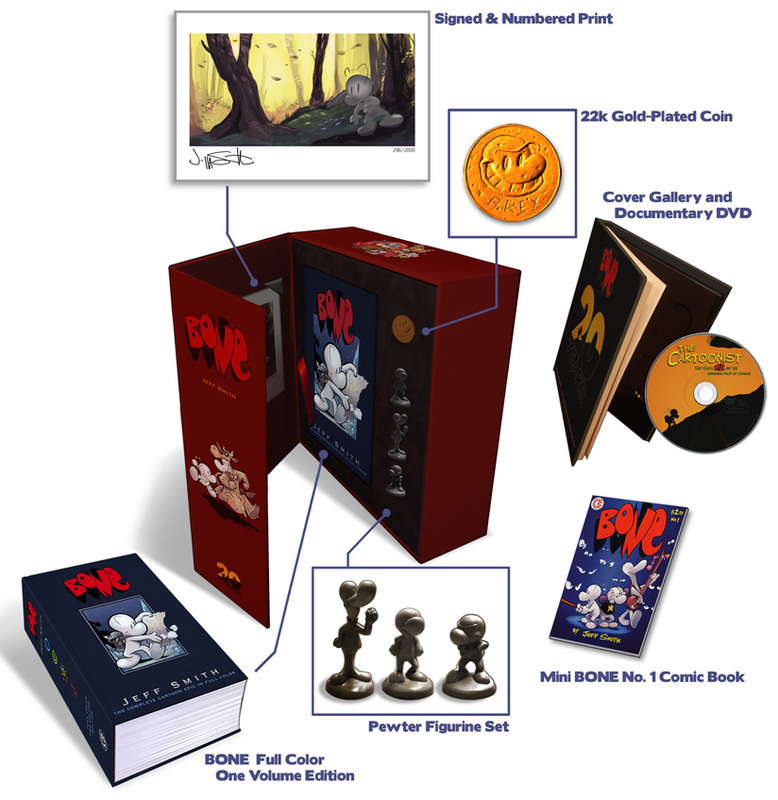 And so it's fitting that I feature Jeff Smith's BONE on The Comics Cube! today, as the Resident Kid becomes the Resident Teen. Happy birthday, Tan! Enjoy your quiche! Totally agree with the recommendation of this book. I bought copies of the Scholastic coloured versions and lent those to a school library where my mother is a principal in the hopes of stirring some new comic book lovers, or at least readers.